Vörsteiner is rapidly expanding its offerings for the BMW driver. Now owners of the BMW 6 series can upgrade their ride with a variety of carbon fiber parts. The carbon fiber Vörsteiner front add-on is available exclusively for the M6 bumper. The VRS race hood comes with vents to let engine heat escape. The carbon fiber boot lid has CSL-style spoiler. 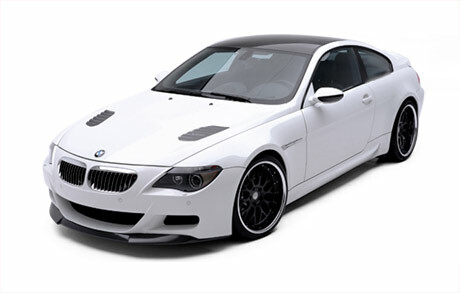 Both the hood and bonnet are available in a number of finishes and fit all BMW 6 series.